Claire Jane Kendrick, was born in Ireland and attended college in England at Manchester Metropolitan University, she graduated with a Bachelor of Arts Honors degree. She worked as a fashion designer in France, Belgium, Sweden and England before relocating to the United States of America in 2006. It was then she returned to painting, full time and exhibiting her work in Jacksonville and St. Augustine, Florida. 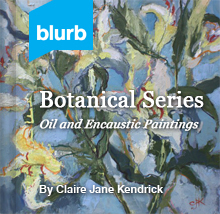 A gifted colorist, her paintings are bold, rich, and beautifully textured. From a family of architects and designers, artistic expression, a love of design and an eye for detail have enriched her life as a painter. Collectors respond to the contemporary style and the expressive way in which she paints. 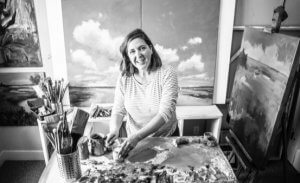 “I love the expanse of the marshlands, the big cloudscapes, the scenery is dramatic and I try to express that in my landscape paintings. When you’re out painting “en plein air” in these isolated places it feels like you have the world to yourself. The subtle shifts of light can in a moment calm or energize the environment.” Her paintings are color sensations, passionate responses, and magical experiences. 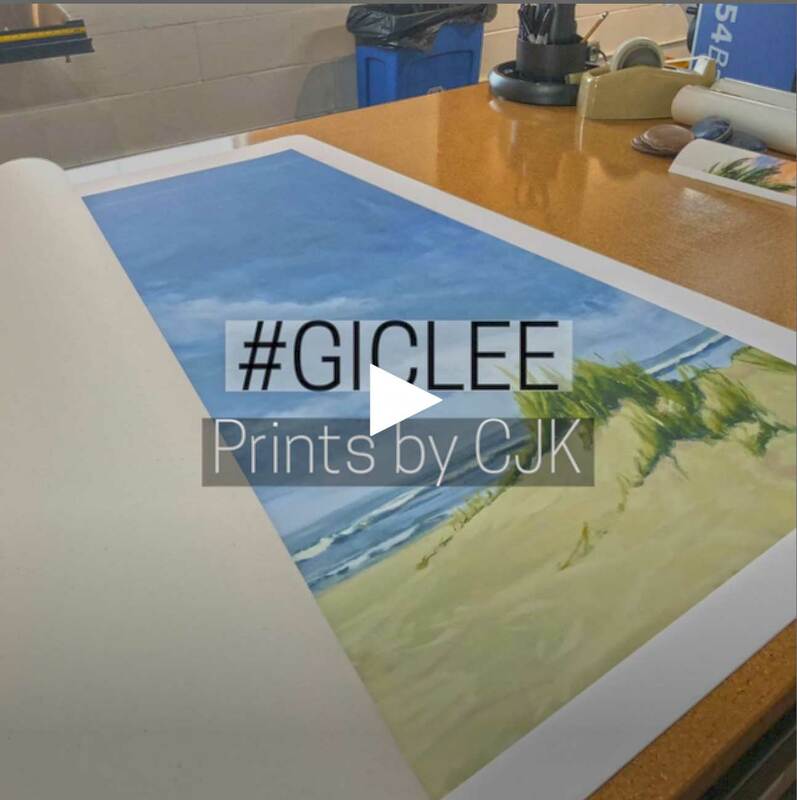 Attracting a local and international following, Claire is dedicated to perusing her painting career, and has studied with Contemporary American Painters, notably Cynthia Packard and Anne Packard. I’m a friend of Olena. I’m very impressed with your work. Very nicely done, very impressionistic. Maybe you’d like to check out my website. I don’t know if you’ve heard of fineartamerica? You might want to try them out. I thoroughly enjoyed seeing your work at the Worley faver gallery this past Art Walk. Thank you for taking a moment to introduce yourself and share your thoughts on the creative process. Very inspiring! Brady, Art Walk is a fantastic event in St Augustine. Its the first Friday of every month and work is always changing, thanks for calling in! Wonderful Video! We are so proud of you. Beautiful! Love what you said about vistas. We get the same feeling in the Mojave Desert of California. Very good interview. Looks like you work incredibly hard ! Impressive. Thanks for your kind comments Ian Gordon. I have really enjoyed following your painting and delighted to be a collector of your work. Continued Success!